Charles Grandison Finney was a revivalist preacher and educator born in Warren on August 27, 1792. He was the seventh child of Josiah Finney and Sarah Curtiss—two of Warren’s earliest settlers of European descent. His family moved to upstate New York (by Lake Ontario), when he was two, but by 1812, Charles was back in Warren attending school. There, he listened to the preaching of Reverend Peter Starr, the pastor in Warren from 1771 until 1822, but Finney found little real connection to religion during this time. While living on the shores of Lake Ontario he learned to sail, and by this stage of his life, Finney was also an expert horseman, accurate with a rifle, and had an affinity for literature, particularly Shakespeare. From 1818 until 1821 he studied law but found himself increasingly preoccupied with the teachings of the Bible. He took to religious studies and the Presbyterian denomination granted him a license to preach in 1824. Finney preached in the revivalist style, a technique used to evoke great emotion from an audience during a sermon—and a style loathed by more traditionally conservative religious leaders, like Lyman Beecher. Despite his controversial style, Finney found the audiences for his sermons steadily increasing. He went on to preach in Philadelphia, Boston, and New York. Frustrated by the limits of Presbyterianism, Finney became a Congregationalist and served New York City’s Broadway Tabernacle in the early 1830s. In 1835, Finney accepted an appointment to teach theology at Oberlin College in Ohio. Established in 1833 (thanks, in part, to a donation of land from parties in New Haven, Connecticut), Oberlin was an institution designed to spread education and religion throughout the Mississippi Valley. 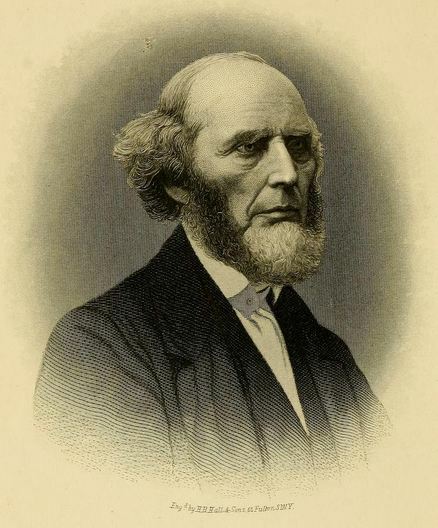 During this time, Finney published his Lectures on Revivals, considered a handbook for American revivalists, and two years later, became minister of the First Congregational Church at Oberlin. In 1846, he published another successful book, Lectures on Theology, and, in 1852, became president of Oberlin College. Finney remained at Oberlin for the rest of his life, spreading the word of God and working to gain equal rights for students of all races to attend the college. He died at Oberlin on August 16, 1875. Finney, Charles G. Lectures on Revivals of Religion. New York; Chicago; Toronto: Fleming H. Revell Company, 1868. Link. Finney, Charles G. Lectures on Systematic Theology. Oberlin, OH: James M. Fitch, 1846. Link. Finney, Charles G. Memoirs of Rev. Charles G. Finney. New York: A. S. Barnes & Company, 1876. Link.